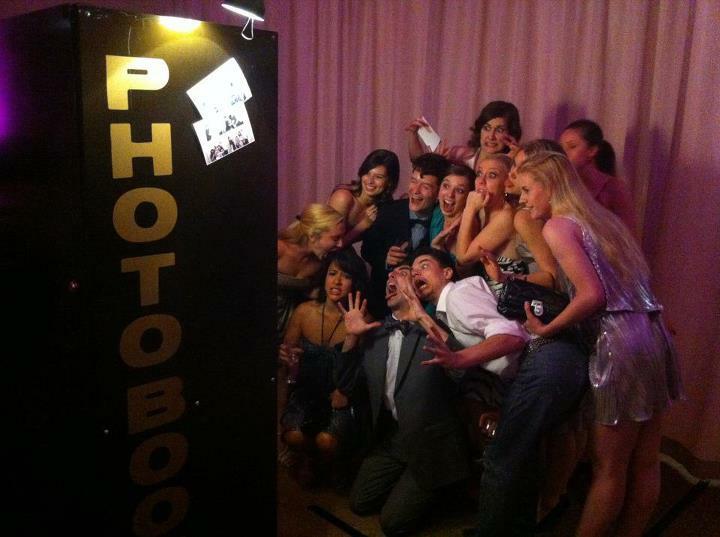 Have you ever wondered why a party is no longer a party without a photo booth? How did the photo booth idea come to our area? You just can’t go to a party anymore without having captured a few funny moments with your friends and loved ones inside a photo booth. Well here is the culprit that helped spread this trend all over our party planning minds. 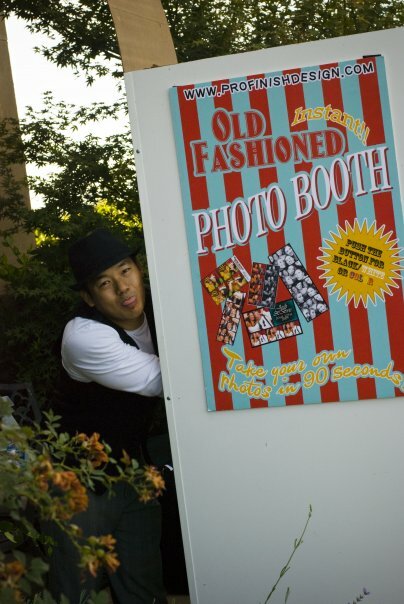 We introduce you to one of the pioneers of the photo booth industry, Johnny Vu. Awesome guy with a great story. It’s one of those “go for your dreams” type of stories we like to hear and be inspired by. How did you get started in Photo Booths? 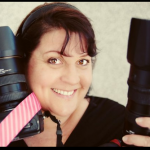 After graduating from UCDavis in Art Studio (photography) and Managerial Economics, I traveled the world for a short while and studied as an apprentice in the bay as a wedding photographer. In 2006, about 7 years into wedding photography, and at one of the biggest weddings I’ve ever done (800 people). My team of artists were contracted for photo, video, event painting and a “prom style” studio setup where we would setup lights like a prom shoot for the bride and groom and all 800 guest, print them out on the spot and give them photos. That night, after the event, we dined at Mel’s at midnight and ideas flew out on napkins. The following week I was in the garage building stuff out of wood with my dad. There was alot of trial and error, but today we have it down to a science. The booths are alumimun, studio lit, metal and the design is a 3D digital model which we send to metal shops to be laser fabricated. That was like, 6 years ago! Time sure flies when you’re having fun. Tell us about the day you knew you had fallen in love with your work? Easy. The day, we first setup a photo booth and the bride/groom came into it and asked us to hop in. We laughed and laughed it was such fun. That was when I thought to myself…yeah, I can do this for a loong time. It just came hand in hand with wedding photography. Fun and easy going. Lets face it…the photo booth is a novelty. You have to be fun and easy going. Its not life or death, what really matters to me is that my clients are happy with it and that I have created the best machine I could…as long as I have that, the rest is just good plain old FUN. Since we pioneered alot of stuff when we first started, we are even able to provide economy booths and price matching booths…so even the most difficult thing to resolve is a no brainer. One thing I can’t live without is? I bring personality to my photo booths…I think. Cappuccino. I make my own cappuccinos. I installed a commercial grade coffee machine in my living room, so I make my own espressos and cappuccinos. Grape soda. I know, it doesn’t taste like grapes, but its yummy. The most creative thing I have been asked to do for a client is? 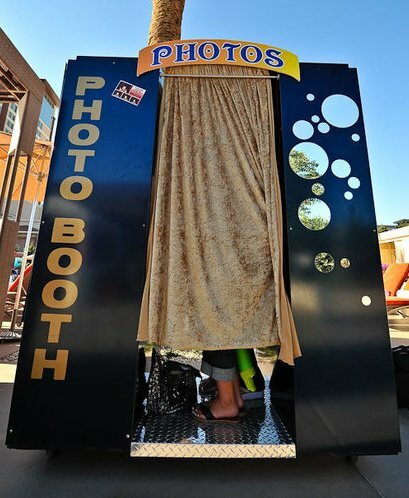 Have the photo booth on a big yacht, operating on the second floor while it travels around lake tahoe. Been there, done that. S.F. too! What/who inspires you? Or what trends, Ideas do you find exciting right now? Honest hard working people. I think social media is the big trend right now for weddings. As much as it could be avoided, people just love to show off what they are doing…I don’t think that will stop. Other people would never guess that _______ is the hardest thing about your work? Having nobody use the photo booth is the hardest thing about my work…we get antsy when theres nothing to do. One thing no ones knows about you is? What’s the next trend in your field? I have a big book of all the hundreds of test shots I’ve taken in a photo booth, kinda like the Amelia Movie guy. I am just as much a entrepreneur as much as I am a artist. I hope it shows. 20 Yrs from now how would you like your business to be remembered? As the pioneer of the industry. Okay, okay, but what we really wanted to know, is where do all the pictures that don’t make it to the gallery section go…hmm??? I guess you’ll have to ask him when you see him. For more on Johnny and his Photo Booths please visit his website at www.rocketbooths.com. Try out his photo booth customizer and find out which photo booth is best for you!